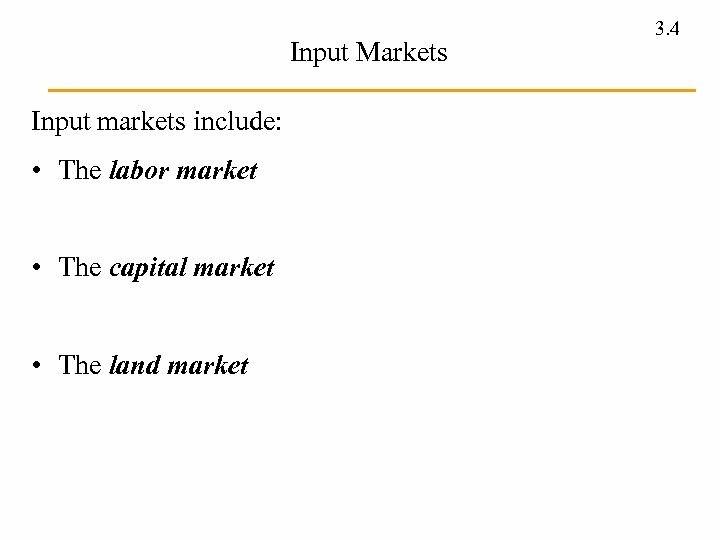 Output Markets 3. 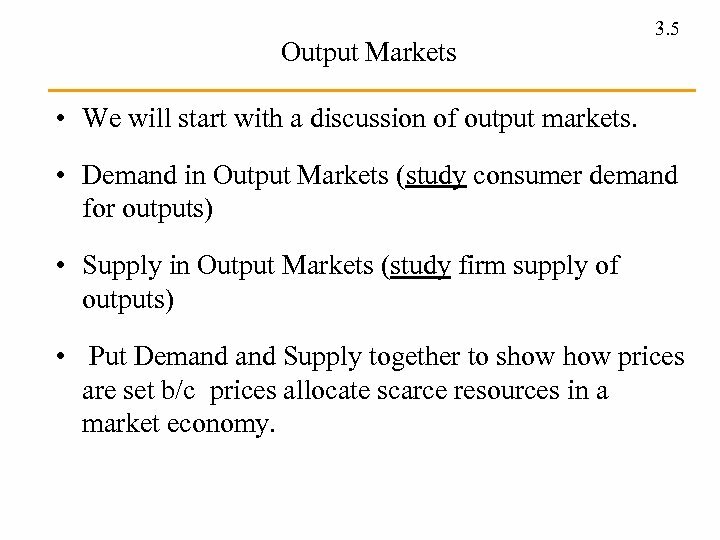 5 • We will start with a discussion of output markets. 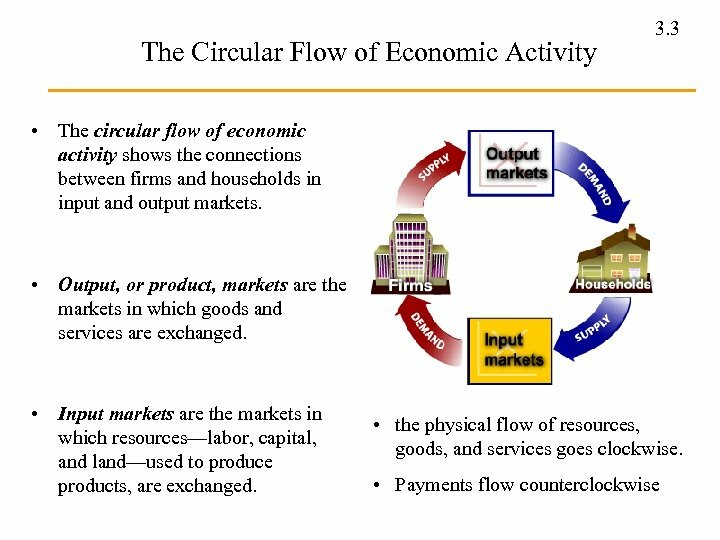 • Demand in Output Markets (study consumer demand for outputs) • Supply in Output Markets (study firm supply of outputs) • Put Demand Supply together to show prices are set b/c prices allocate scarce resources in a market economy. Quantity Demanded 3. 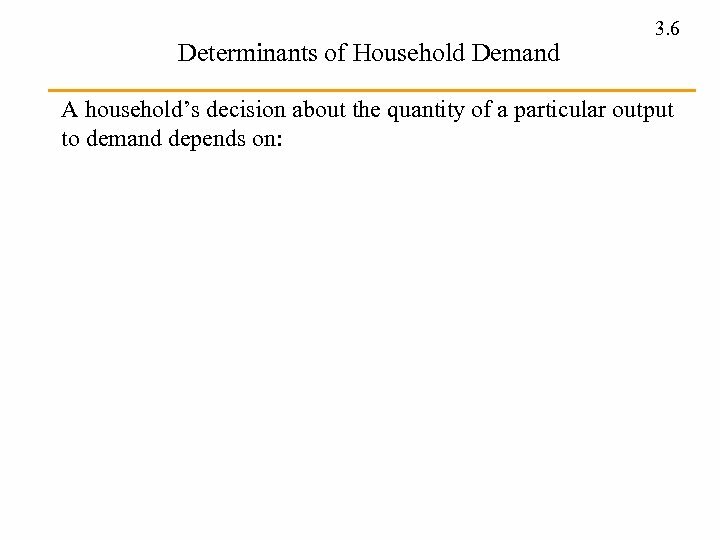 7 • Quantity demanded is the amount (number of units) of a product that a household would buy in a given time period if it could buy all it wanted at the current market price. There are multiple variables that determine q. D: q. D = f(Price, Income/Wealth, Related Prices, T/P, Exp, Etc. ) We focus on price. Demand Schedule 3. 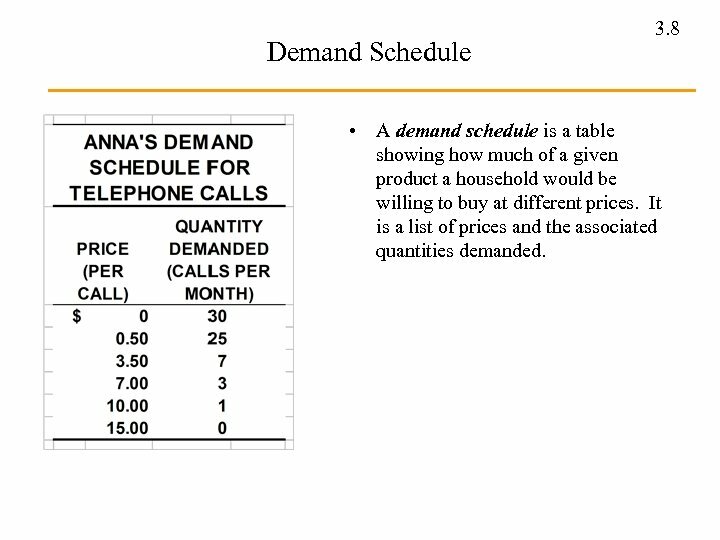 8 • A demand schedule is a table showing how much of a given product a household would be willing to buy at different prices. It is a list of prices and the associated quantities demanded. The Demand Curve 3. 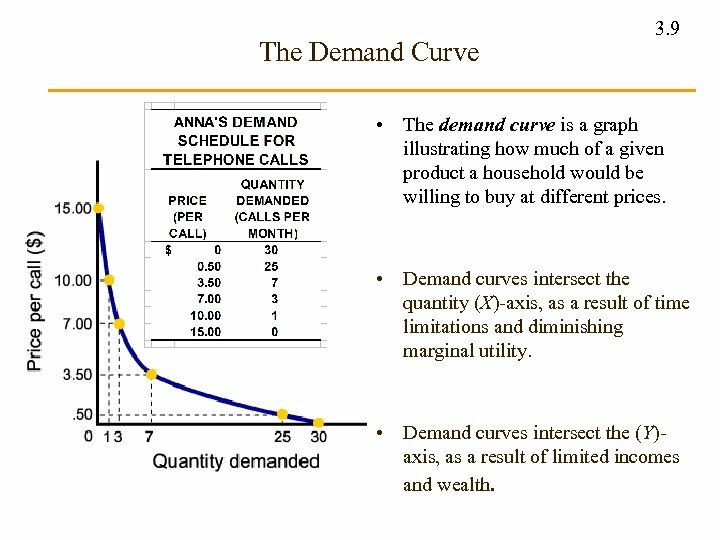 9 • The demand curve is a graph illustrating how much of a given product a household would be willing to buy at different prices. 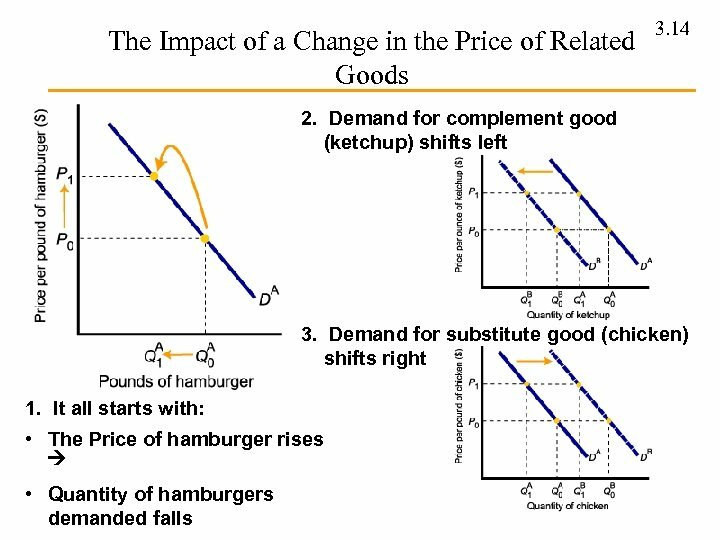 • Demand curves intersect the quantity (X)-axis, as a result of time limitations and diminishing marginal utility. 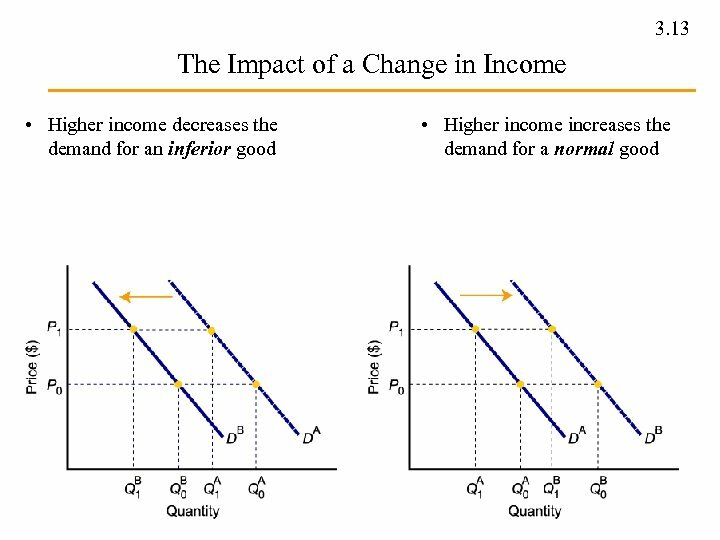 • Demand curves intersect the (Y)axis, as a result of limited incomes and wealth. 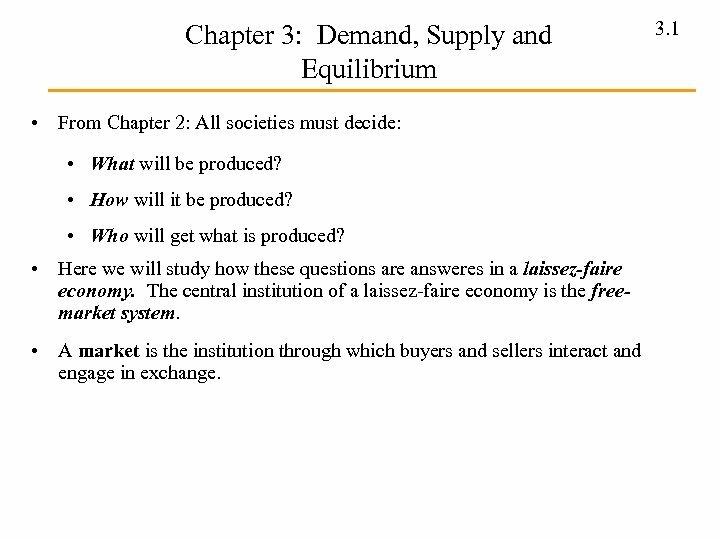 The Law of Demand 3. 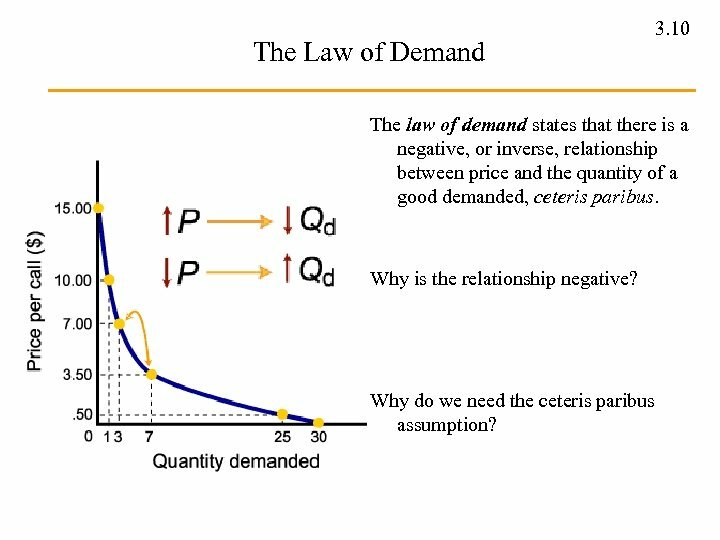 10 The law of demand states that there is a negative, or inverse, relationship between price and the quantity of a good demanded, ceteris paribus. Why is the relationship negative? Why do we need the ceteris paribus assumption? 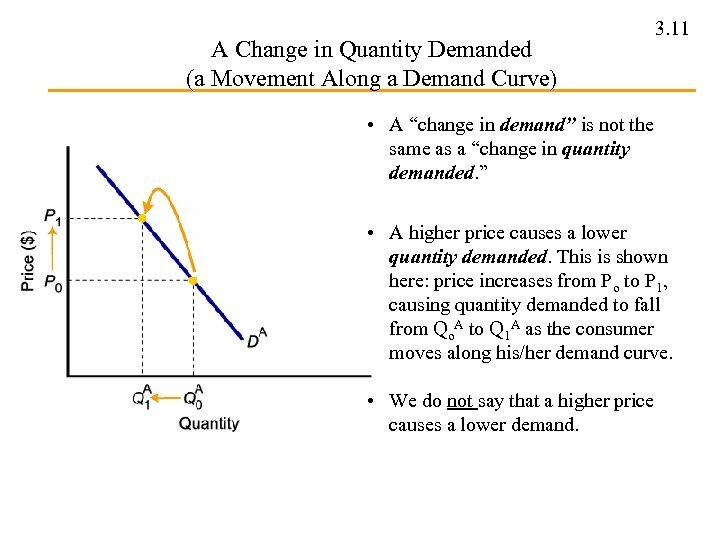 A Change in Quantity Demanded (a Movement Along a Demand Curve) 3. 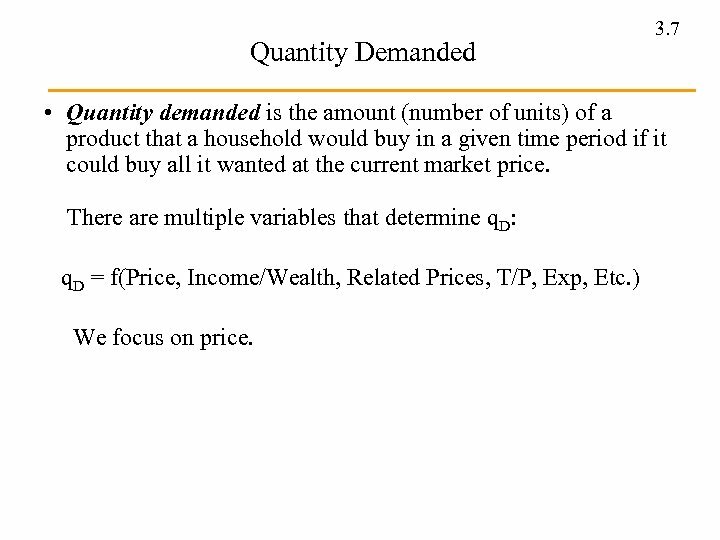 11 • A “change in demand” is not the same as a “change in quantity demanded. 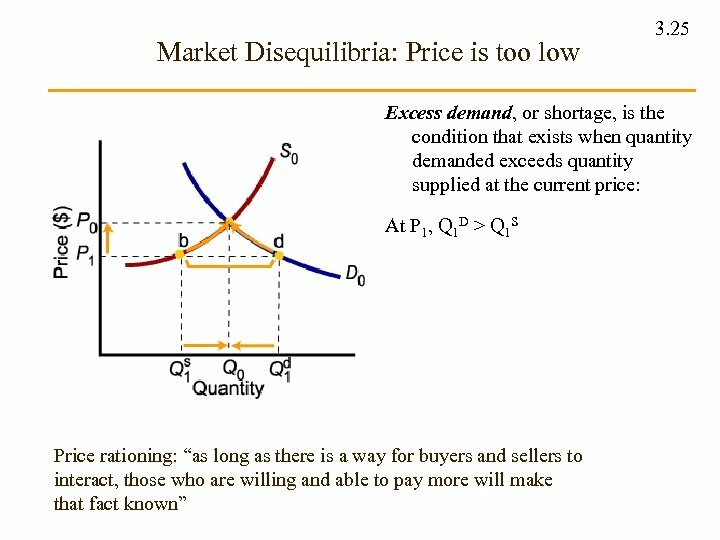 ” • A higher price causes a lower quantity demanded. 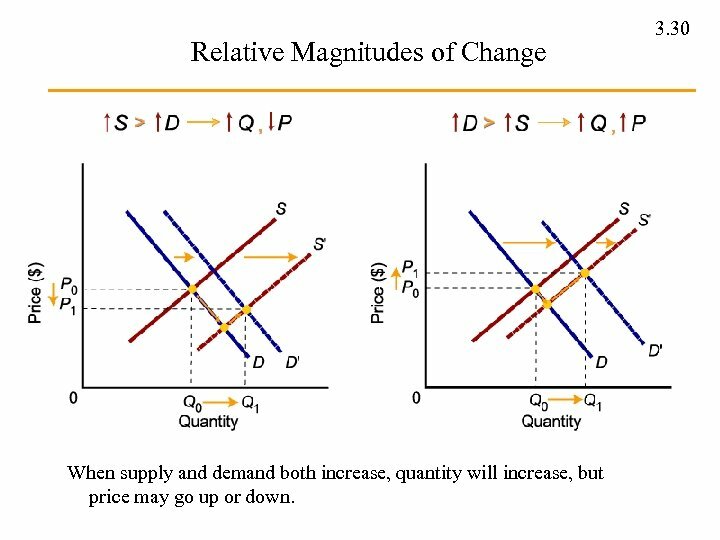 This is shown here: price increases from Po to P 1, causing quantity demanded to fall from Qo. A to Q 1 A as the consumer moves along his/her demand curve. • We do not say that a higher price causes a lower demand. 3. 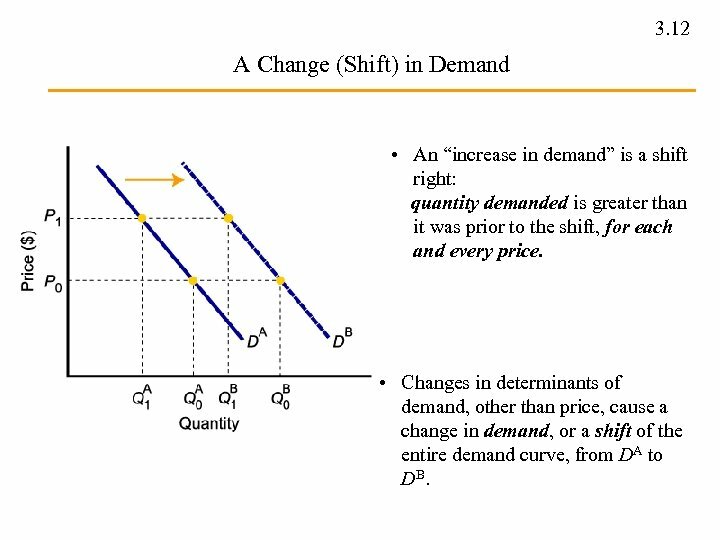 12 A Change (Shift) in Demand • An “increase in demand” is a shift right: quantity demanded is greater than it was prior to the shift, for each and every price. 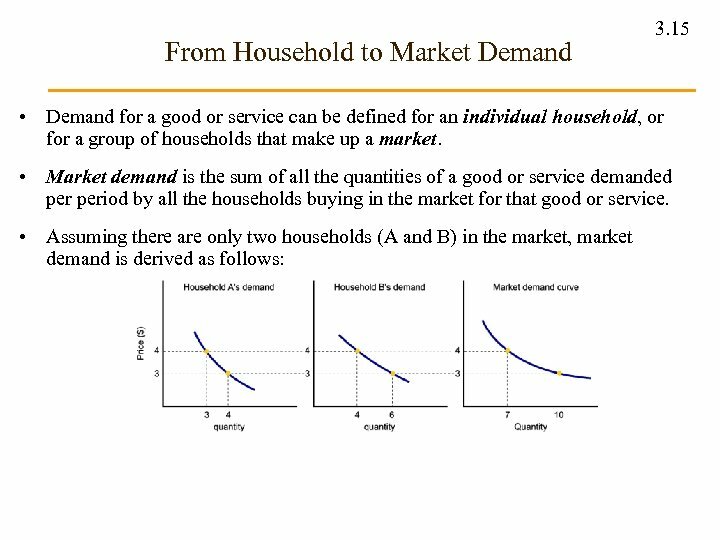 • Changes in determinants of demand, other than price, cause a change in demand, or a shift of the entire demand curve, from DA to DB. 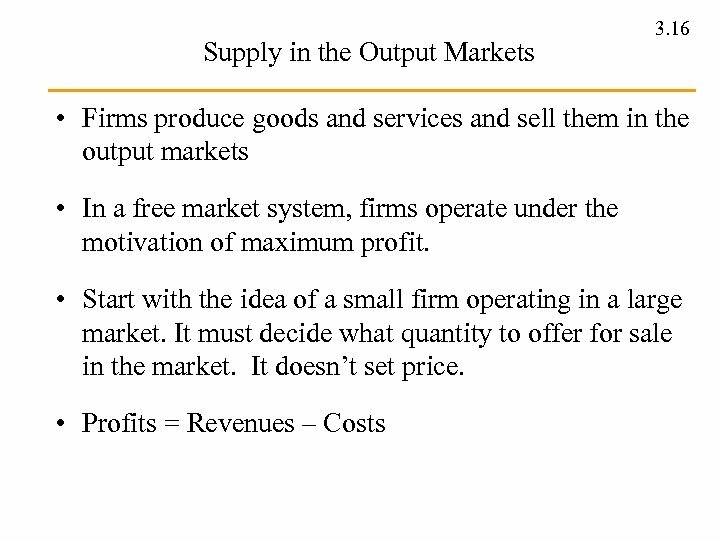 The Law of Supply 3. 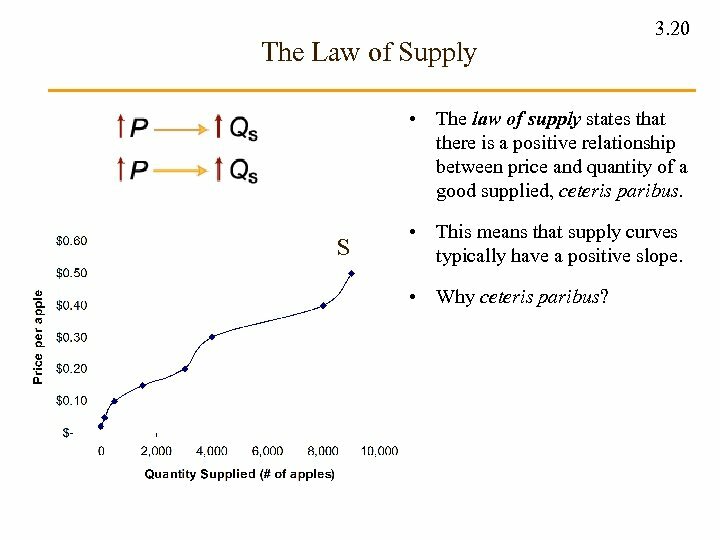 20 • The law of supply states that there is a positive relationship between price and quantity of a good supplied, ceteris paribus. 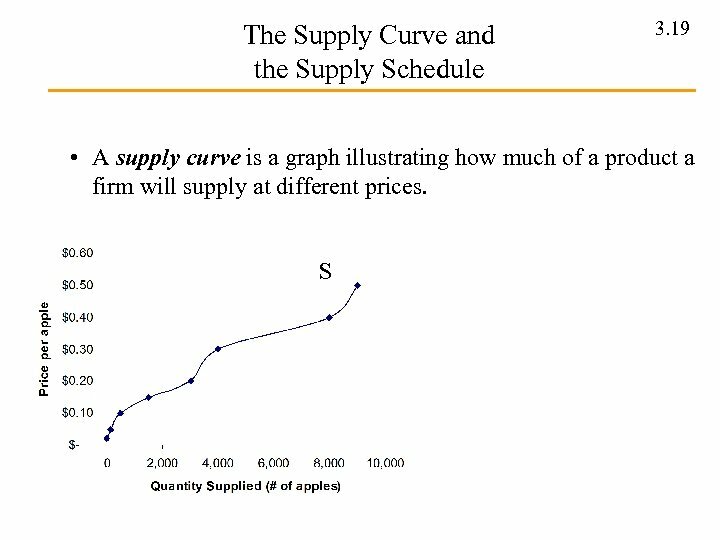 S • This means that supply curves typically have a positive slope. • Why ceteris paribus? 3. 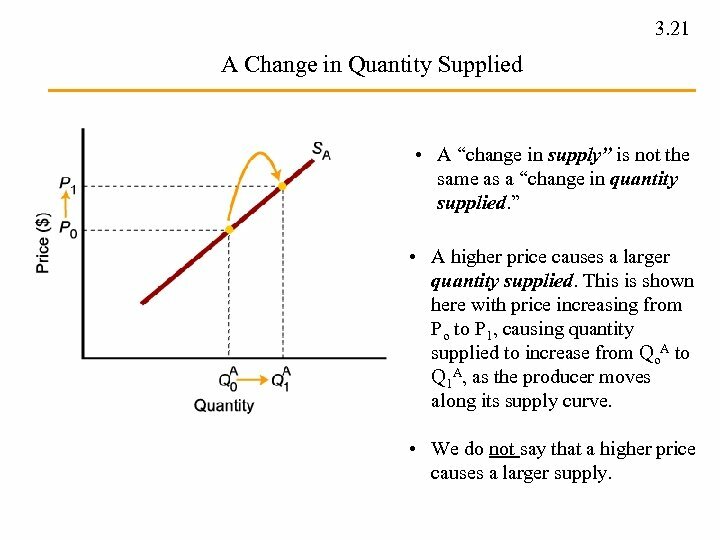 21 A Change in Quantity Supplied • A “change in supply” is not the same as a “change in quantity supplied. 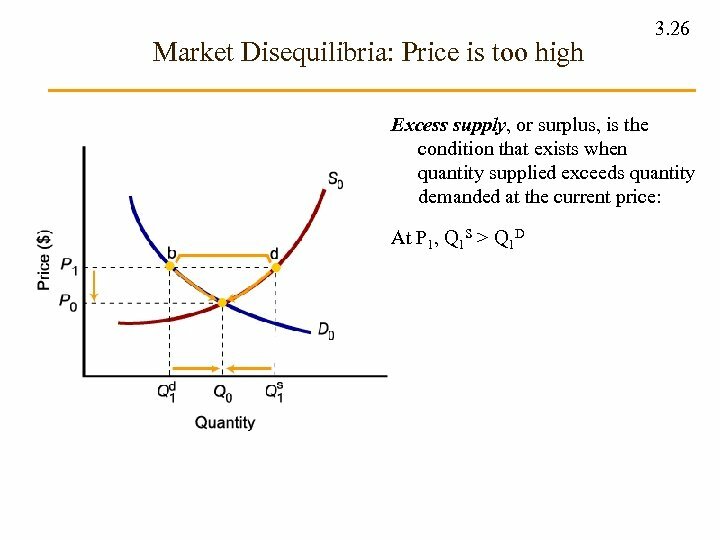 ” • A higher price causes a larger quantity supplied. This is shown here with price increasing from Po to P 1, causing quantity supplied to increase from Qo. 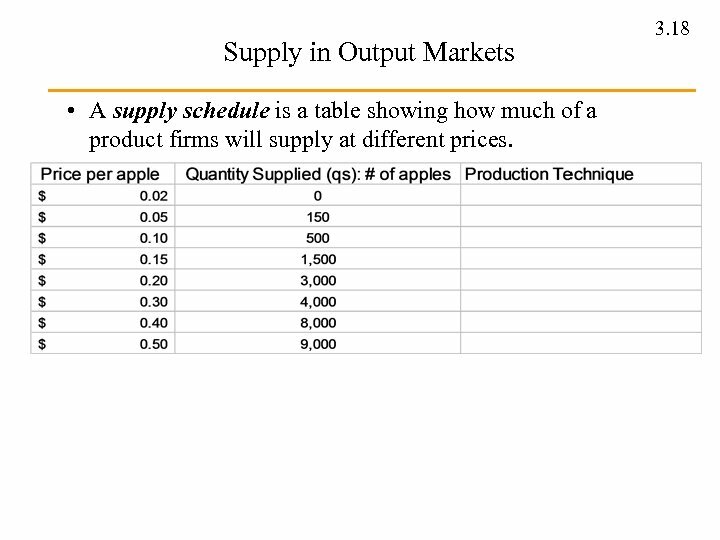 A to Q 1 A, as the producer moves along its supply curve. • We do not say that a higher price causes a larger supply. 3. 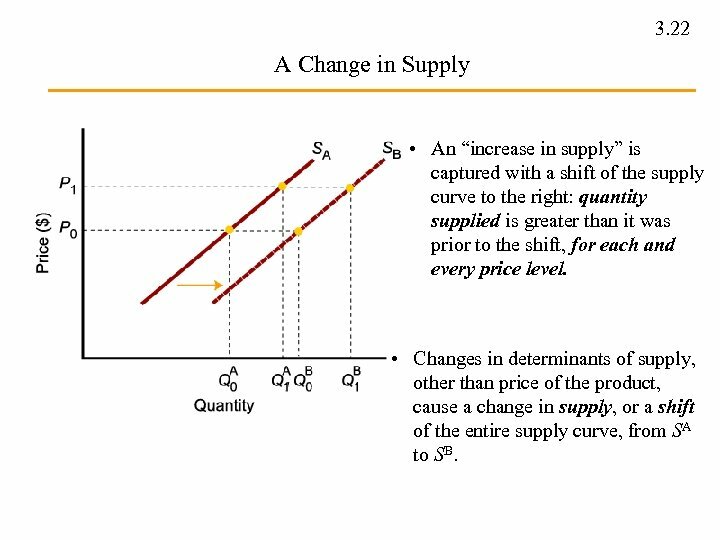 22 A Change in Supply • An “increase in supply” is captured with a shift of the supply curve to the right: quantity supplied is greater than it was prior to the shift, for each and every price level. 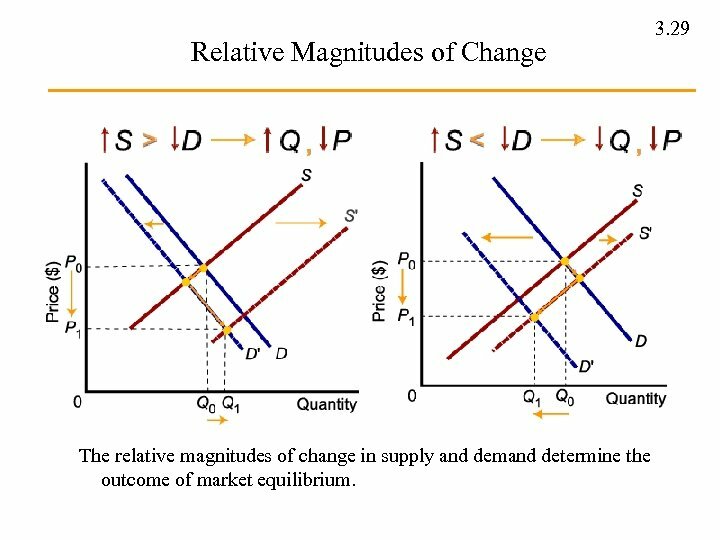 • Changes in determinants of supply, other than price of the product, cause a change in supply, or a shift of the entire supply curve, from SA to SB. 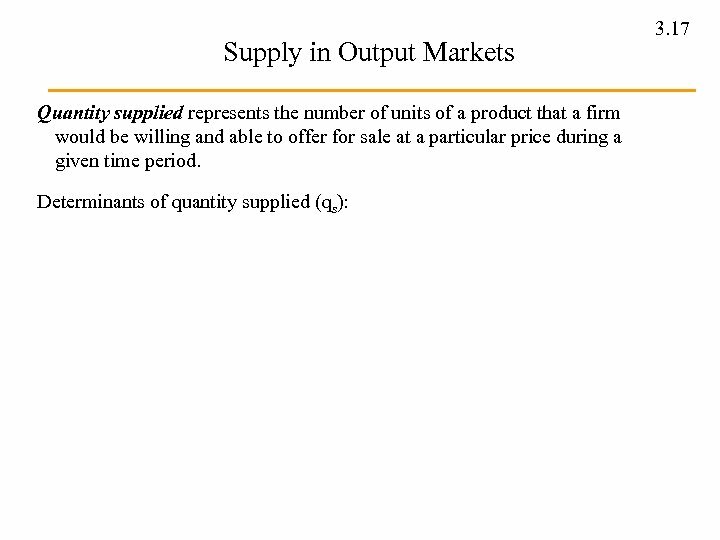 From Firm Supply to Market Supply 3. 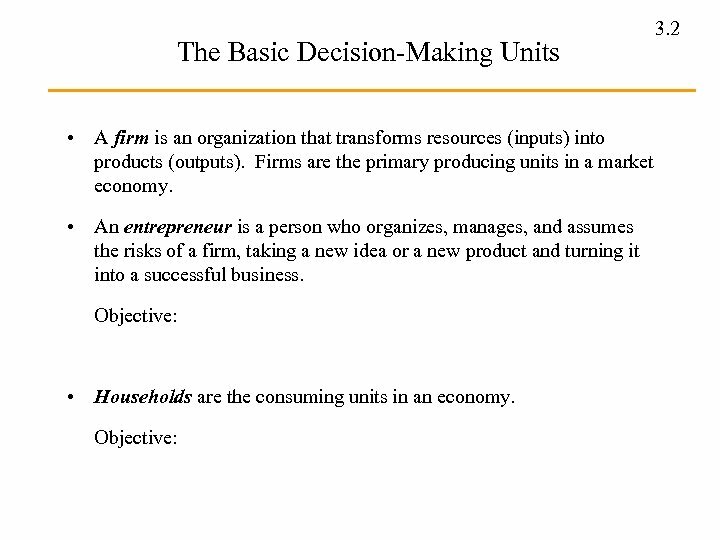 23 • The supply can be defined for a firm, or for a group of firms that make up a market or an industry. 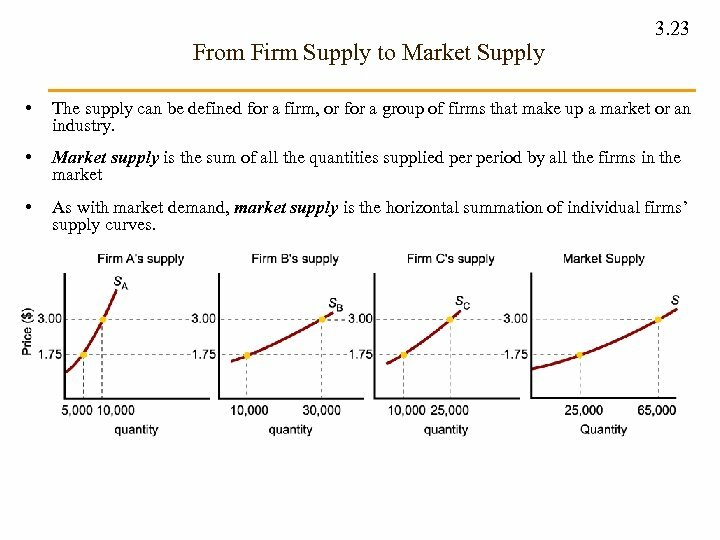 • Market supply is the sum of all the quantities supplied period by all the firms in the market • As with market demand, market supply is the horizontal summation of individual firms’ supply curves. 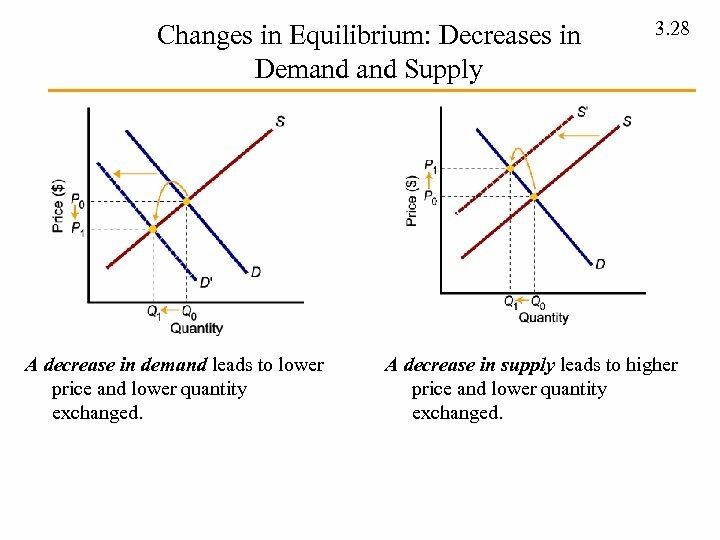 Changes in Equilibrium: Increases in Demand Supply An increase in demand leads to higher equilibrium price and higher equilibrium quantity. 3. 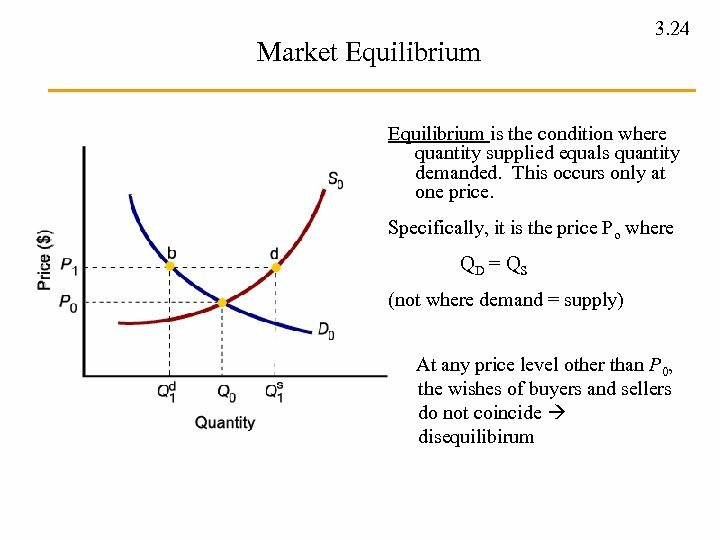 27 An increase in supply leads to lower equilibrium price and higher equilibrium quantity. 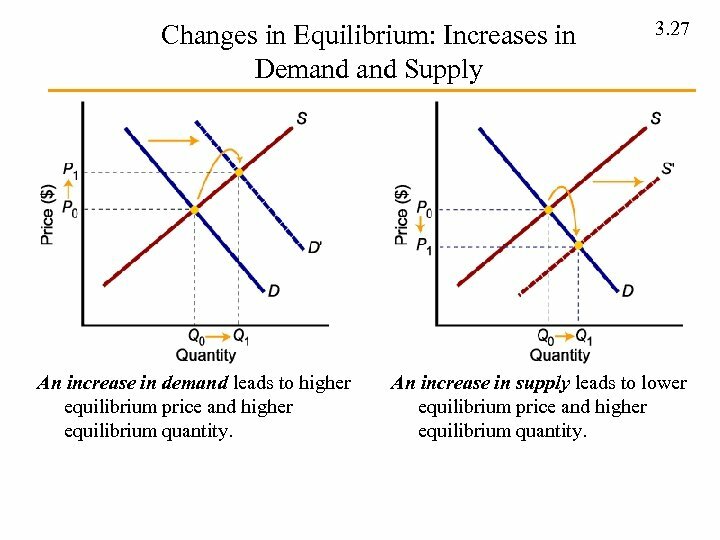 Changes in Equilibrium: Decreases in Demand Supply A decrease in demand leads to lower price and lower quantity exchanged. 3. 28 A decrease in supply leads to higher price and lower quantity exchanged.